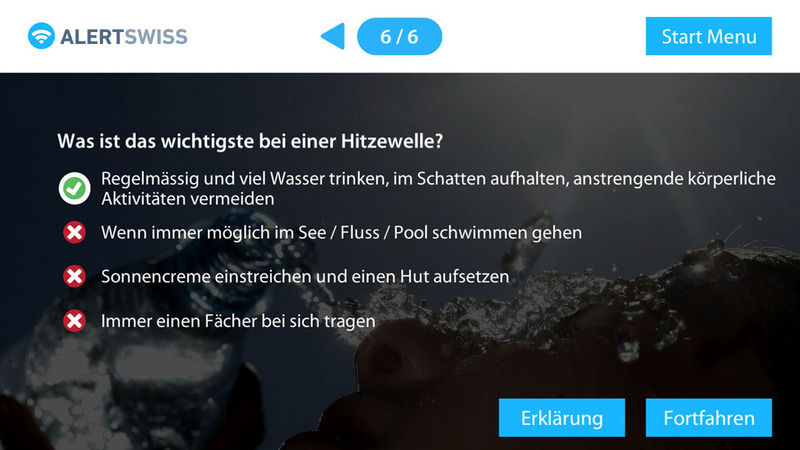 Do you know what you should do in case of an earthquake or a flood? Did you know what you should do when you hear the public alarm sirens? Really? 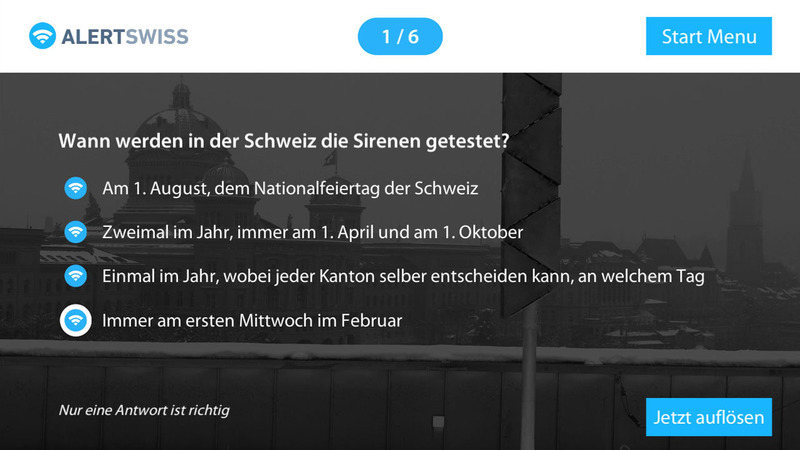 With the Alertswiss Quiz you can check if you’re ready for an emergency situation. And maybe you will learn some useful tricks you didn’t know before. 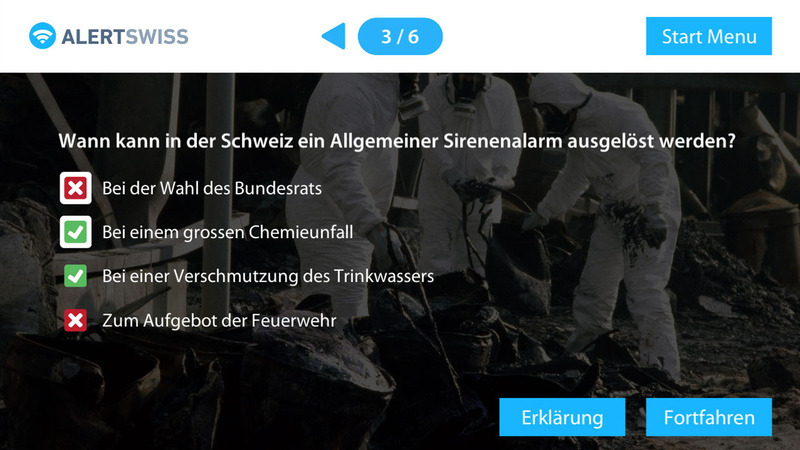 Visit alertswiss.ch for additional informations about Alertswiss.